( The Salt Lake Tribune) An image captured from KSL's Thursday broadcast. Under criticism for a blatantly racist TV appearance by members of his company, Odyssey Dance Theatre’s artistic director responded Friday that the company is “very sorry for the reaction to their appearance” but adamantly and repeatedly denied that the incident was in any way racist. While the city’s Salt Lake City Arts Council does not provide taxpayer funding for Odyssey, Salt Lake County just approved a $23,000 award for the company from Zoo, Arts and Parks (ZAP) sales tax proceeds. The Utah Cultural Alliance — which lobbies on behalf of arts organizations — weighed in, encouraging performing groups “to be sensitive to how outdated representations may continue misinformed cultural stereotypes” and to adapt works “to accommodate current sensibilities and dispel stereotypes." A sizable list of Asian-American groups in Utah signed on to the UCA’s statement — the Asian Association of Utah, the Asian Pacific Islander American Public Affairs Association, the Utah chapter of the Chinese Association of Science & Technology, the Chinese Railroad Workers Descendants, the Kulturang Pilipino Ensemble of Utah, the Jung Hing Lion Dance Association, the Utah chapter of OCA-Asian Pacific American Advocates, the United Chinese Association of Utah and the Utah Asian Chamber of Commerce. This “performance” was incredibly disrespectful and not in keeping with the values of #SLC. 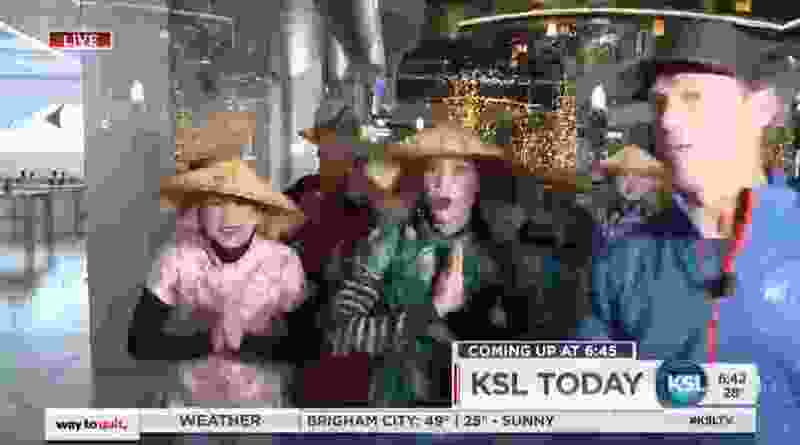 I appreciate @KSLcom’s apology for airing this segment & hope @OdysseyDance reconsiders this type of caricature of the Asian community in their upcoming show. Thank you for sharing. Frankly, it’s even more troubling that the dancers' first instinct was to mock Asians. And whatever their intentions, that’s what they were doing. (Facebook post) This was the response to criticism on the Odyssey Dance Theatre Facebook page. Asked repeatedly who posted that response, ODT was unable or unwilling to respond. That post, along with others expressing outrage, were later scrubbed from the Facebook page. Good advice. Unfortunately, before you can solve a problem you have to admit there is one, and that hasn’t happened at Odyssey Dance Theatre.